Deep in the African jungle where even the bravest are afraid to venture, lies a truth that will propel James through his improbable American journey, if he can come out alive. James a village boy in Africa receives a scholarship to go and study in America and he becomes the envy of the whole village. His girlfriend Janny is however skeptical of what a long distance relationship can do to love. But when Janny vanishes from the village, James plunges into the belligerent forest at the risk of his life and his American dream. Love transcends all. 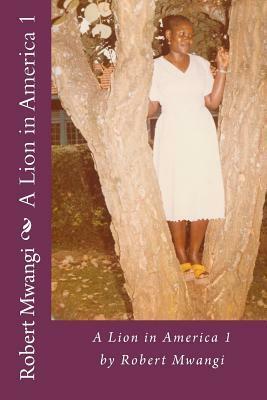 Robert Mwangi shares the history and culture of African people in his novel, A Lion in America (1). The story focuses on James, a young man from an African village who loves playing soccer. James was a wonderful character and very easy to like. As he travels from his small village to the large cities in Africa to play soccer, readers will see him grow from a boy into a man. His strongest quality is the love he has for others, as that love forces him on a journey to discover who he really is. Readers will connect with James based on his dreams, his loyalty, his caring nature, and his unbelievable strength of both body and mind. Mwangi does a fantastic job at bringing readers into a culture that is ever-changing. The plot of this novel was more intricate than I first imagined. Not only does it follow James' dream of being a world famous soccer player, but also his journey to manhood through the traditional African way. Mwangi's writing style and descriptive methods show the readers exactly what it's like to be a young man in Africa. It's a beautiful book full of hope and love. I can only imagine how enjoyable the second installment will be when James continues his journey to be a world soccer star.